Take advantage of our amazing promotions available at all our salons. The following promotions/offers below are available at all our salon, please feel free to take full advantage and ask our front of house team about loyalty system #BADAPPLEHAIR cards and our recommend a friends offer when at your appointment. As a special thank you for choosing Bad Apple Hair, we want to reward you! Our exclusive NEW CLIENT offer, rewards on you on your first visit. Receive 25% OFF any services with any stylist or Technician. Retail not included, Monday to Friday only. Recommend a friend that hasn’t visited Bad Apple before and we will reward them with 25% OFF their first visit in any of our salons. For each person that you recommend, we will reward you with £10 OFF any service. 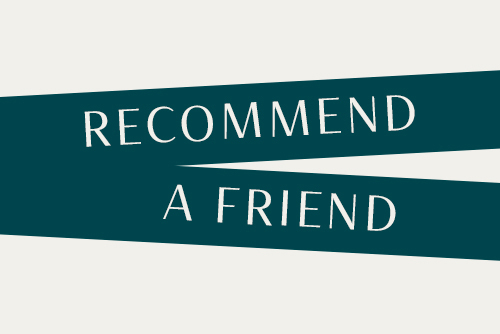 Simply pick up as many Recommend a Friend Cards as you like from your stylist or front of house at your next appointment. If you’re a local business, we’re giving you 20% off too!